We did it! Thanks to the generous support received from the Western New York Foundation, Homespace Corporation has successfully redesigned and upgraded our website. The $7,500 Technology Grant provided the critical support needed for the research, redesign, training and implementation of our website to include the addition of the much needed Learning Management System (LMS). For the last few years the Homespace website has been used solely as a platform for awareness, focusing on who we are and what we do. There was limited content, no ability to interact with visitors to our site, and it was operating with little to no security. Our new website not only allows two-way communications with our visitors, we now have the ability to track where they are coming from, reply to requests for information, easily maintain applications for referrals and employment, implement reliable security features, and have the ability to train our employees and track their progress all in one spot. We so appreciate the assistance from the WNY Foundation to push the agency into utilizing technology to streamline our systems and make those systems more user friendly. We are sincerely grateful! SEFCU has been an active and generous supporter of not only Homespace as an agency but also in taking care of all of our youth that bank there. They routinely solve problems in a caring, supportive, educational manner that decreases the issues that many youth have in dealing with financial institutions. Within 2017 they have supported Homespace in the amount of $3,000; in corporate giving and the UB Money Machine. Homespace is extremely thankful for the very generous support of the M&T Charitable Foundation in their providing $20,000 toward the purchase of our Mommy & Me Program vehicle. The Homespace Board President, John Kubicki, worked tirelessly to advocate for this program. The Mommy & Me Program focuses on providing a routine for our young parents in getting their children to an approved daycare or (Early) Headstart Program, getting themselves to school and/or work, and reversing that in the afternoon. The focus of the program is to improve attendance, increase communication with service providers and work on being on time and ready as needed. Mommy & Me started early based on the generosity of M&T. The Patrick P. Lee Foundation's generous gift of $5,000 supported the Homespace team in completing a series of trainings to increase the understanding and skill set associated with mental health and trauma needs. The trainings have incorporated not only our young mothers but all levels of staff. Homespace is working to establish a culture where a focus on mental health and trauma awareness are at the forefront of what we do on a daily basis. The Buffalo Sabres Foundation's generous gift of $2,500 provided support to our Mommy and Me Program. The Mommy and Me Program is focused on making normal daily activities, "normal" for our young parents and their children. This program not only increases the young mothers attendance at school/work, it also increases the enrollment and participation of thier children in daycare/preschool. 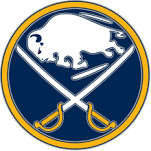 Due to the generosity of the Buffalo Sabres Foundation this program was able to begin ahead of schedule. The Josephine Goodyear Foundation has been a long time supporter of the activites of Homespace. Their gift of $5,000 is greatly appreciated. They have advocared for supporting our Mother & Baby Group Home - Second Chance Home. The dedication and focus of Ellen Montgomery and Karen Magee have been instrumental in this support. As they retire from this board, Homespace is thankful to have had their loyal support throughout the years. The Evans Devereux Memorial Fund has been a long time supporter of the Mission and Values of Homespace. Their gift of $3,000 is critical to providing our children, youth and families with experiential learning. Thank you the the Children's Foundation for their gift of $5,000. Homespace extends many thanks to the Scripps Howard Foundation for their gift of $2,500. Sisters of Mercy has genreously donated $1,500 to support the Mission of Homespace. Homespace is thankful for Balbach Family Foundation's gift of $500. These funds are used to support the recreational activities of our non-parenting young women.